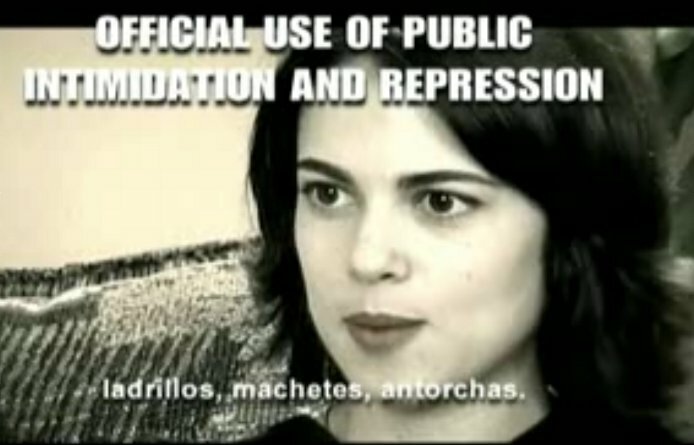 “Act of Repudiation” as practiced by the Cuban government, is the official use of public intimidation and repression against individuals and their families because of their views, through the used of trained mobs and violence, akin to those employed by Nazi Germany and the Ku Klux Klan. This is the story of the Act of Repudiation directed at internationally renowned concert guitarist Carlos Molina and his family. Molina and daughter Maritza, a child at the time of the assault, describe the acts of the government-incited mobs that attacked their home and the resulting trauma they still feel today. The Act resulted from Molina’s request to emigrate, with his American-born wife, Marisa and his three daughters, to the U.S. Molina, lauded as founder of the Cuban School of Guitar, began his performing career in 1969, the same year he graduated from the School of Law at the University of Havana. Daughter Maritza, an artist, relates the trauma she suffered by the Act of Repudiation directed at her family, which to this day, impacts her life and her artwork.